The School of Music at Kennesaw (GA) State University sponsored a recital with the clever title of "Dueling Duos." It featured, in various combinations, the talents of David and Julie Coucheron and Michael and Helen Kim. The first piece, played by Ms. Coucheron and Mr. Kim, was the Brahms Hungarian Dances for Piano Four-Hands, Nos. 5 and 6. Hearing this piece in the piano version spotlighted the humor in the music. Brahms was said to have a great sense of humor, so it was fitting. This performance seemed to suffer a bit from warm-up problems. There were some uneven tempos between the two performers that gave the piece a uncoordinated feeling. The second piece was Wieniawski's Etude Caprice for 2 violins, op. 18, no 1 by Mr. C and Ms. K. This work includes some great playing on the G string, which Mr C played quit nicely with no hint of growl. Ms. K's bowings and fingerings were both musically and technically brilliant. AMC has never heard her sound so focused and inspired. The third piece featured the Coucheron's playing their fellow country man Edward Grieg's Sonata No. 3 in C minor. Grieg is one of those composers that has a few big concert hall hits (the piano concerto, the music from Peer Gynt, and the Holberg Suite), but otherwise doesn't really get much attention. He wrote brilliantly romantic music loaded with melody. True for this sonata too. It is replete with allusions to water, to folk dance, and to nature. There are few duos who played together as well as these siblings. David has a really big tone, and Julie is more than a sympathetic accompanist. She never stoops to playing "second fiddle" (Ugh!). Their playing together is balanced and there is total alignment in their interpretation and balance. When they play together, there is only great technical skill and incredible artistry. The next piece was Cesar Franck's Sonata in A Major by the Kim's. Franck is one of those composers that we don't hear a lot of either, but mostly for good reason. Even in his time he was considered conservative and uninspiring. His Symphony in D Minor is heard occasionally today and it is rather turgid because Franck, an organist, tried to turn the symphony into an organ. However, this sonata provides sharp contrast to that overblown symphony Likely it is because it is difficult to make two instruments sound like a large church organ. The first movement in particular is surprising. It almost sounds like a very early impressionist work, with its lean melody and structure. The three other movements are very rooted in romantic passions. The Kims share the same simpatico that the C's have. Their playing was technically top-notch, and musically on target. The final work was Sarasate's Navarra for 2 violins performed by Mr. and Ms. C and Ms. K. Sarasate is known for his technically challenging compositions for violin, in order to show the stuff of the violist. Both of these very talented artists were absolutely phenomenal. Their left hand fingers were flying across their respective finger boards and their right hands were bowing and bouncing those bows just as Sarasate hoped. 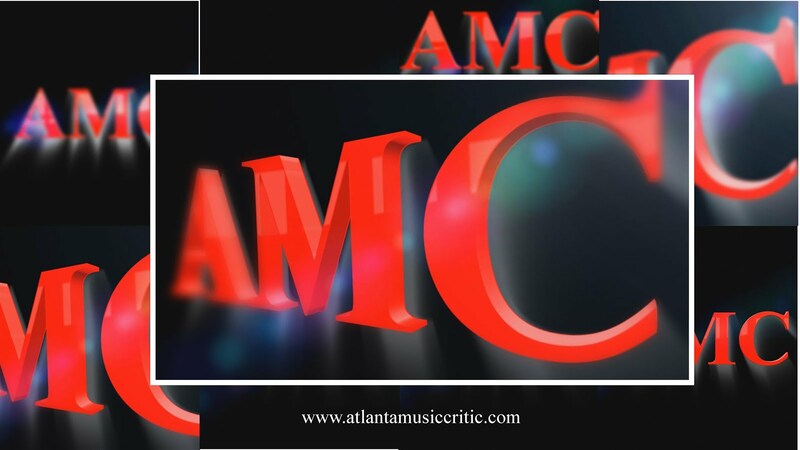 AMC has hear Mr. C and Ms. K play many times. Neither sounded better or were more impressive. Ms. C did her usual solid piano work that perfectly complemented the two violins. Mr. K was the page turner, and the pride on his face in reaction to the violin playing was wonderful! Ms. C and Ms. K were both dressed in red, hence the reference at the beginning. And somehow they managed to choose nearly the same shade of red.! A final note- parking at Kennesaw State was abysmal, and signage was lacking.